Hwarang: The Flower Boys of Silla. Please note that although the article is a little old now, the information on the Hwarang is still valid. Those of us who follow Korean Dramas have probably already heard news of the upcoming sageuk, Hwarang, the Beginning which is already in production. The cast list looks amazing with Park Seo Joon and Park Hyung Sik playing the two male leads and Go Ara as the female lead. The cast also includes flower boy idols such as Kim Tae Hyung and Choi Minho. The drama is not set to air until the second half of this year, perhaps even as late as Dec. 2016. So while we wait I decided to find out a little more about the historical background of the Hwarang. The drama is set in the time of King Jin Heung (ruled 540-576 CE) the 24th monarch of Silla during the Three Kingdoms period, who came to the throne when he was only 7, although he did not actually rule until coming of age at 15. King Jin Heung was a very important figure of the time and did much to assist the eventual unification of Korea. He ruled for almost 37 years, although before he came of age his mother ruled as Regent. One never knows with historical dramas whether there will be any real truth, or if the writers will just make up the whole story, but I found out that the Hwarang did in fact exist. According to documents from the 12th century CE they were groups of young men from good families who were educated in martial as well as the finer arts. They had to learn to dance, to sing songs, and play music, as well as be proficient in archery, swordsmanship, horsemanship and the like. They were often taught by Buddhist monks although researchers have suggested that aspects of Shamanism might account for the focus on singing and dancing. They were noted for taking trips to the mountains and out into the countryside. And they were also known for being attractive, for wearing beautiful clothes, and even for wearing makeup. It seems to me that their aim was to be the perfect man, attractive, well educated, and able to fight well for his country and King. The Hwarang followed 5 basic rules; they must be loyal to their King, they must honor their parents, they must be loyal and trustworthy friends, they must be brave in battle, and they should not take a life unless necessary. They stayed with their own group which was led by one of their own, and lived and learned together, forming groups who had strong ties to each other. 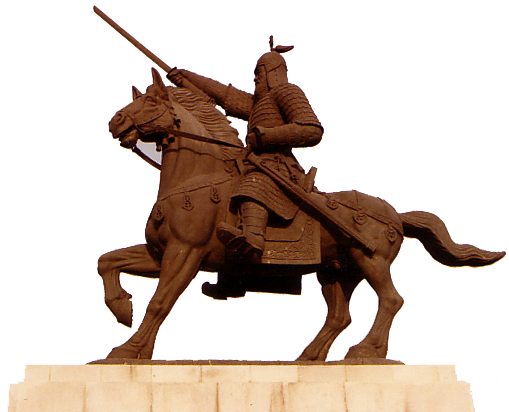 Although not totally a military group the Hwarangs were used as troops in battle, however, as they grew older they left the Hwarang and moved on with their lives and became soldiers, advisors, and court ministers. The Hwarang were older boys and young men training to be the best they could be for the betterment of their country, all while looking beautiful and wearing makeup. A Chinese official of the time wrote, “They choose fair sons from noble families and deck them out with cosmetics and fine clothes and call them Hwarang. The people all revere and serve them.” The middle image below is of an emissary to the Chinese court from Silla. You can definitely see he is the best looking of the three. 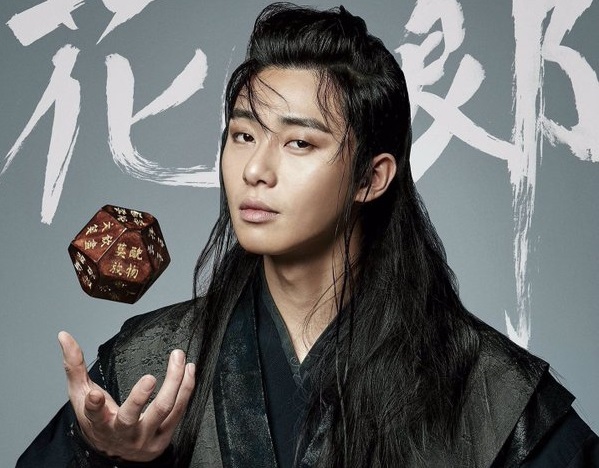 I’m somewhat surprised that more dramas haven’t been written about the Hwarang, since they present a perfect excuse to fill the screen with attractive young men. They do appear in other Sageuk such as The Great Queen Seon Deok, and maybe they were present in other dramas and I just didn’t realize who or what they were. I’ll be eagerly waiting for the drama, and hope to see that they follow some of the actual attributes of the historical Hwarang, or Flower Boys of Silla. You may also like Goblin, Guardian, or God, Is it the Kdrama Actor? Archery in Korea, Juryeonggu: A 14 sided die from Silla, and Horseback Archery, A Traditional Korean Sport. Edit, Hwarang: The Beginning shows them playing various sports and games, you can check out Juryeonggu, and Jokgu here. Note. If anyone knows of the Hwarang appearing in any other K Dramas please let me know in the comments below. Also different translations have Hwarang, as Flowering Youth, Flower Knights etc. and there is still much debate among researchers as to their actual role in Silla society. There has been a push in recent years by some people to change their role to suit what they want them to be, not what they were. Notably some Martial Arts groups claim them as the inventors of a certain style of fighting, which may, or may not, be true. Just like the legends of Robin Hood have changed over time so some of the stories of the Hwarang may have been changed. ← Gonggi: Korean Jacks, or Fivestones.